Last year I visited Fair Park Elementary School and talked with the students about empathy, compassion, writing and reading. The students were so enthusiastic to have me there, and the teachers were wonderful and supportive. Renee, one of the teachers who I worked with last year planning the visit, contacted me last week asking if I’d do a short video for their students – to remind them about how important reading is, to encourage them to visit their library, and how important empathy and compassion is. Of course, I was more than happy to do this for the school and I hope my thoughts will encourage the kids once again. And this time I enlisted the help of Miss Gidget who appears on the video with me which I hope the kids will get a kick out of. I think they will as Gidget looked pretty spiffy in her pink sparking hat, and was giving me lots of kisses while I tried to record the video. 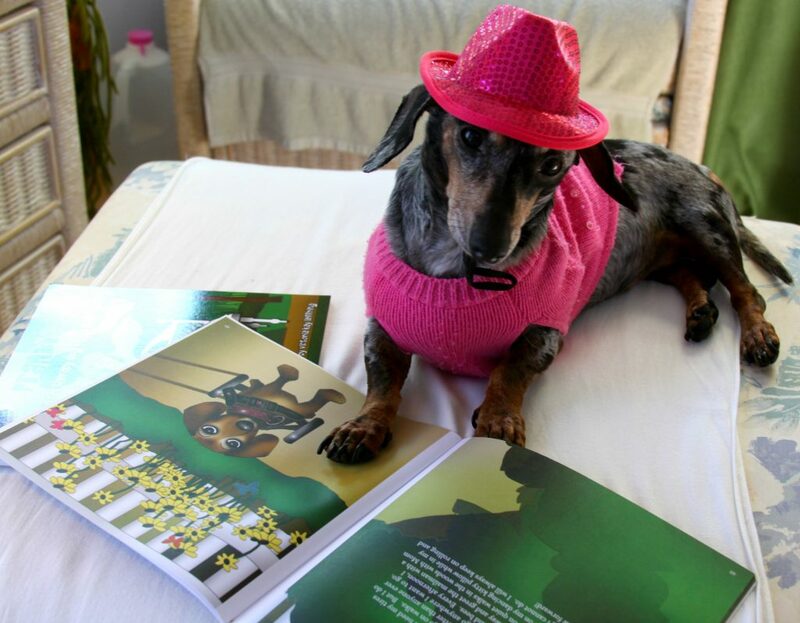 I took this photo of Gidget also with copies of my children’s books as a visual reminder for the kids the importance of reading. It really is a wonderful thing when schools find creative ways in which to continue to encourage kids to read and write – and I was tickled to help in this small way and it sure was a great way to kick off my week. The post Encouraging Kids to Read appeared first on Joyful Paws.